Janine Jackson interviewed Evan Greer about the FCC’s net neutrality cyber fraud for the August 24, 2018, episode of CounterSpin. This is a lightly edited transcript. The Federal Communications Commission (FCC) voted Thursday to overturn the so-called net neutrality rules that prevent internet service providers from favoring certain sites with higher speeds, while jamming up others. As I’m sure you’ve seen, it’s been all hands on deck to save Net Neutrality in the U.S. We need you to add your name now to our worldwide message to Republican Congressional leaders to stop the FCC from destroying the free and open Internet as we know it. 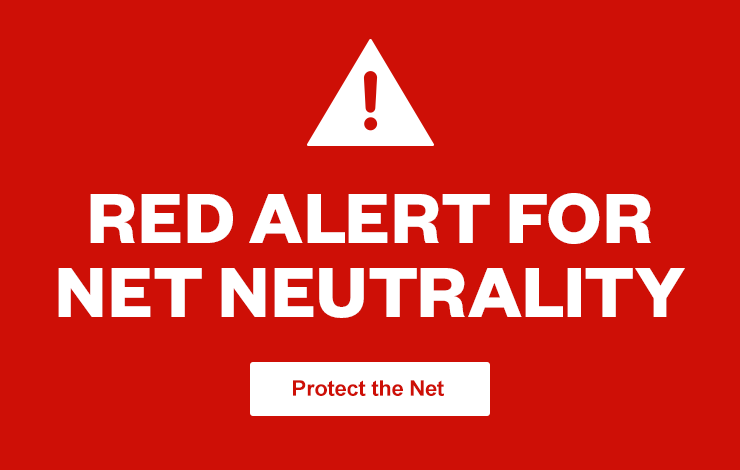 This won’t just impact Americans, it will disrupt the Internet for all of us who depend on it. We only have until December 14th to save Net Neutrality. If you haven’t yet, please add your name. Video: The Internet is under attack! The FCC wants to let companies like Verizon and Comcast censor and throttle the Internet. This is how we fight back.